For our 115-year old charity, 2016 was defined by growth. Thanks to our tremendous partners, the City of Calgary, 2016 saw the opening of our newest facility, Remington YMCA in Quarry Park. Built by the City and operating as a YMCA, this centre of community already boasts a packed swimming pool, busy workout areas, determined newcomers learning English through our Community YMCA programs, and a healthy membership. The year 2016 deepened our partnership with Remington Development Corporation, our new facility naming sponsor, and the builder and catalyst behind the YMCA-operated Quarry Park Child Development Centre. Like our other childcares across Calgary, this 348-space facility is now meeting the needs of hundreds of families requiring affordable, active and quality childcare in the community. This was a busy and productive year in YMCA Calgary’s Power of Potential Campaign, the largest fundraising initiative in our history. This volunteer-led $30-million fundraising campaign saw companies, individuals and foundations invest in the YMCA’s expansion. 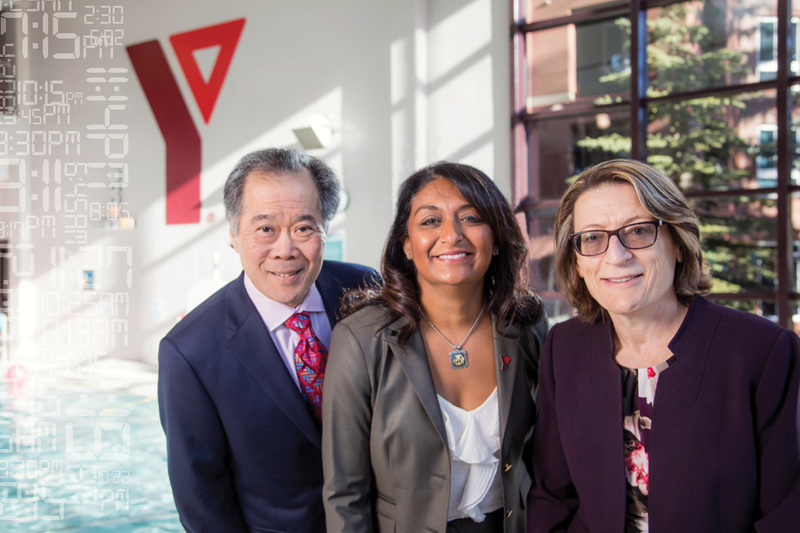 Thanks to this generosity, and in combination with funds raised through our generous donors to the Y’s annual Strong Kids Campaign, many more Calgarians are now able to connect to the YMCA despite their personal financial circumstances, and the challenges presented by the economy. However, in a time of growth, we remember that it is the small, personal interactions at the YMCA that matter most. In these pages, and in the digital version of this annual report on our website, you’ll encounter stories of people benefiting from and lending their best selves to the YMCA both locally and internationally – as participants, volunteers, members and donors. We thank each and every one involved in the YMCA for their commitment to helping Calgarians belong, grow, thrive and lead. We love what we do for the community, and it starts here. With you.